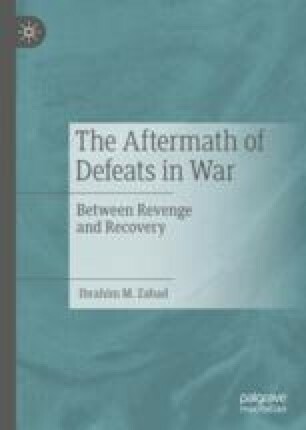 In this chapter, I show how the June 1967 defeat shook the foundations of the Egyptian polity and generated instability, changes in the relative power of social classes, ideological vacuum, national identity crisis, and radicalization of the domestic political landscape—represented by both secular revolutionary leftism and militant Islamism. In this complex case, defeat had variable impacts on state and society. With respect to the state, defeat caused a rightward shift in domestic and foreign policies. Contrary to what some societal forces desired, the ‘state’ pursued neither a shift to the left nor revolutionary transformation. The ignominious fall forced the ruling elites to pursue an alternative foreign policy, one focused on compromises and alignment with the US. However, the impact of defeat on societal actors is a totally different story: the aftermath witnessed increasing leftist radicalization and the resurgence and consolidation of Islamic fundamentalism. The radical left pushed for a complete break with the past; sought total secularization, revolution, and popular war; and held religion itself responsible for the defeat, while Islamic fundamentalists looked for historical roots, advocated a return to the fundamentals of religion, and dreamed of the restoration of an imagined Islamic golden age.